The Cornovia Press specialises in publishing titles relating to Cornwall, its history and culture, including reprints of rare and obscure works as well as anthologies, reference books and original material. 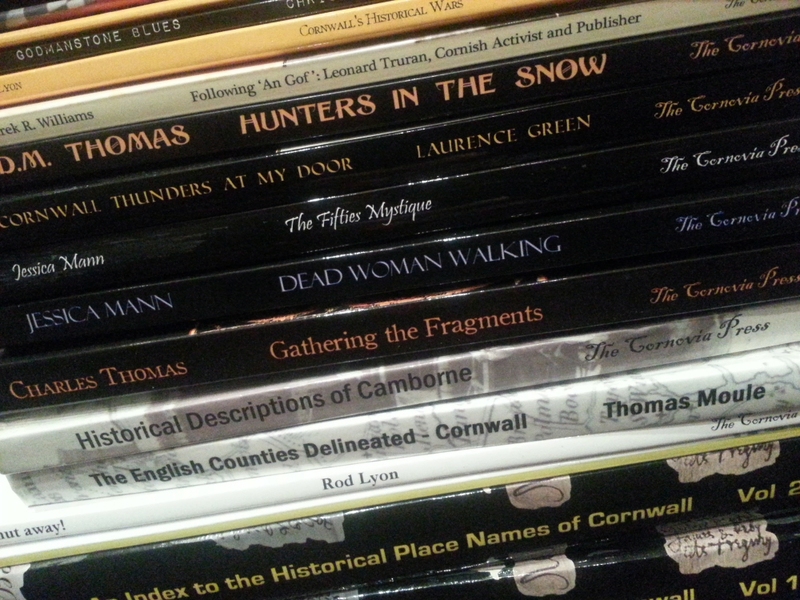 We also publish books by Cornish writers, or those based in Cornwall, both fiction and non-fiction. Forthcoming titles will include new books by some of Cornwall's best-known authors, more reprints of obscure works and transcriptions of unpublished historical manuscripts. Details of our latest title will always be featured at the bottom of this page and if you want to stay informed about our new titles and forthcoming projects then please follow us on Twitter or Facebook. Our titles can be ordered from all reputable bookshops and online retailers such as Amazon UK, Amazon.com, Lulu.com, Waterstone's, Barnes & Noble, WHSmith, The Book Depository and eBay, or check on BookButler to compare prices or on WorldCat to find libraries holding copies of our titles. If you would rather pay by cheque, if you would like to discuss bulk orders, or you wish to purchase our books on behalf of a library service or non-profit organisation, please contact us about ordering. Vienna in the early 20th century was, in the words of our protagonist and narrator, a soulless, syphilitic whore of a city; a turbulent and bubbling melting pot of races, creeds and politics, rapidly expanding as it strained to contain the ever-increasing multitudes. In such places the nightmare moments of modern history are conceived. This novel is a fictionalised account of those who were to change the very collective psyche of mankind. It is a vivid and poignant portrayal of the sometimes thin dividing line between becoming good or evil. D. M. Thomas is a British novelist and poet, born and living in Cornwall. His novel The White Hotel was an international bestseller and shortlisted for the Booker Prize. It is rightly considered a modern classic, translated into more than 30 languages. 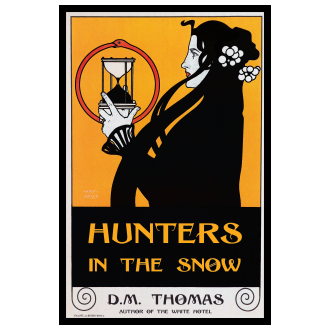 John Updike said of the book: ‘Astonishing … A forthright sensuality mixed with a fine historical feeling for the nightmare moments in modern history, a dreamlike fluidity and quickness’; the statement could equally be applied to Hunters in the Snow. Paperback, 164 pages : ISBN 9781908878120 ; Kindle edition : ISBN 9781908878137 ; ePub edition : ISBN 9781908878168. eBook conversions by eBook Partnership. The paperback edition is now available from Amazon, Lulu.com, Waterstones, Foyles, WHSmith, The Book Depository, Barnes & Noble and from most retailers, worldwide (Compare prices). The Kindle edition is available from Amazon. The ePub edition is available from Apple, Barnes & Noble, Kobo, Sainsburys, 'txtr, Lulu and from most ebook retailers, worldwide. D. M. Thomas's Author Page.